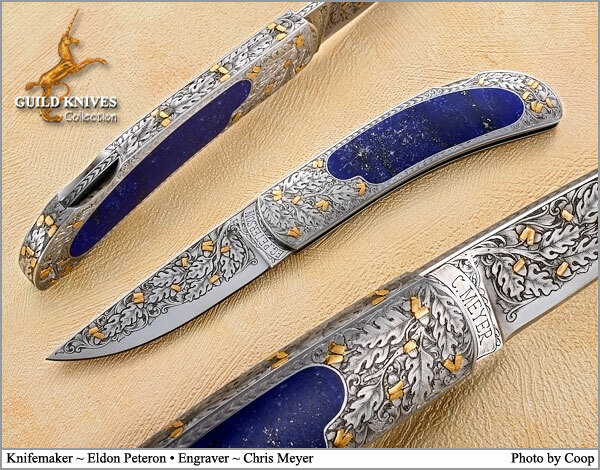 Count them: 71 engraved gold acorns appear on this knife with a background of engraved oak leaves. Stunning Lapis. What a yummy knife!